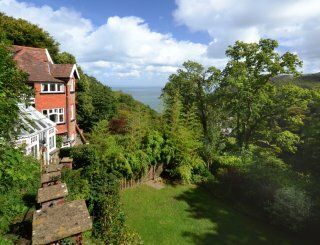 Duddings Country Cottages, Dunster, Somerset, Exmoor, sleeps 2-18 in 8 bedrooms. 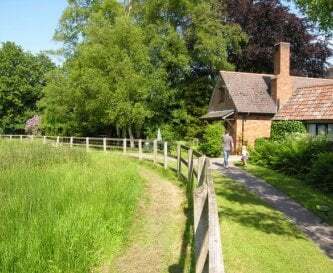 Set in a stunning unspoiled location, with lovely views of the surrounding countryside, Duddings consists of a beautiful thatched long house, the West Wing, and 11 self-catering holiday cottages. 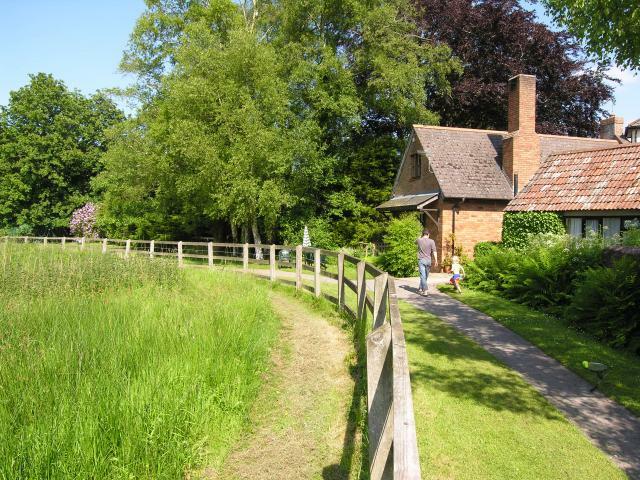 The West Wing forms the greater part of a traditionally built thatched Devon longhouse. 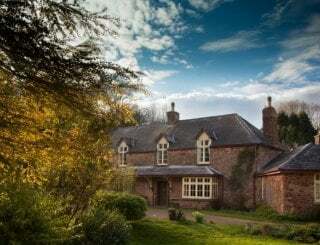 Dating back to the 16th century and Grade II listed, the interior has been tastefully restored and offers a wealth of period features, including exposed beams and inglenook fireplaces. 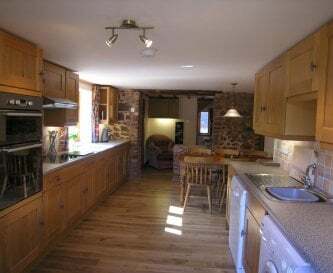 There is a well fitted kitchen with double oven and ceramic hob, microwave, fridge/freezer and dishwasher. 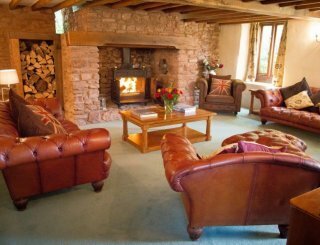 The oak-floored lounge has a huge inglenook with wood burner, TV and DVD player and comfortable seating. The dining room has an inglenook and polished hardwood floor, offering a perfect setting for celebration meals (seats up to 16). 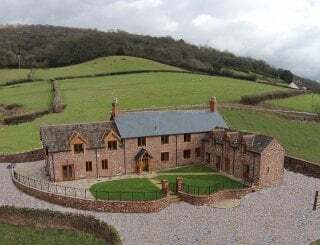 Leading off the hallway is a second sitting room or 'snug' with a TV and video recorder, as well as a utility room with washing machine, tumble dryer and sink plus a 4th loo. 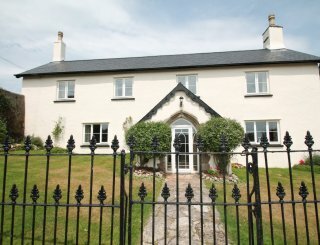 A twin bedded room is located on the ground floor, with an en suite shower room. 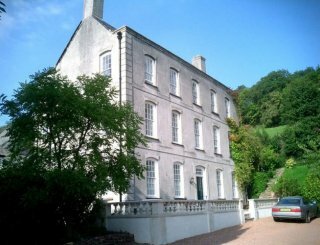 On the first floor there are five bedrooms, 2 doubles and three twins, together with a bathroom (bath and shower) and a shower room. 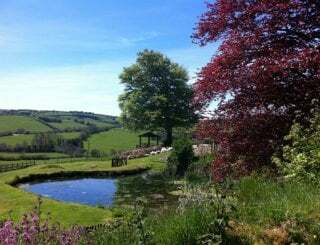 The 11 cottages are mostly grouped around a courtyard in a lovely setting with views of wooded hills and scattered fields. 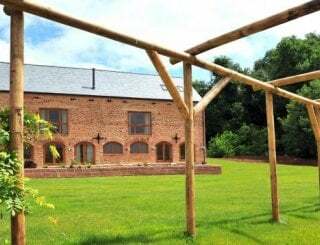 They have been beautifully converted from old stone barns and stables. 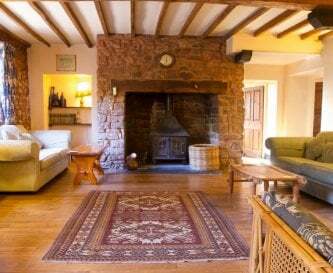 The ancient beams and stone walls have been retained and enhanced by the provision of comfortable and stylish furniture, and excellent decorations. 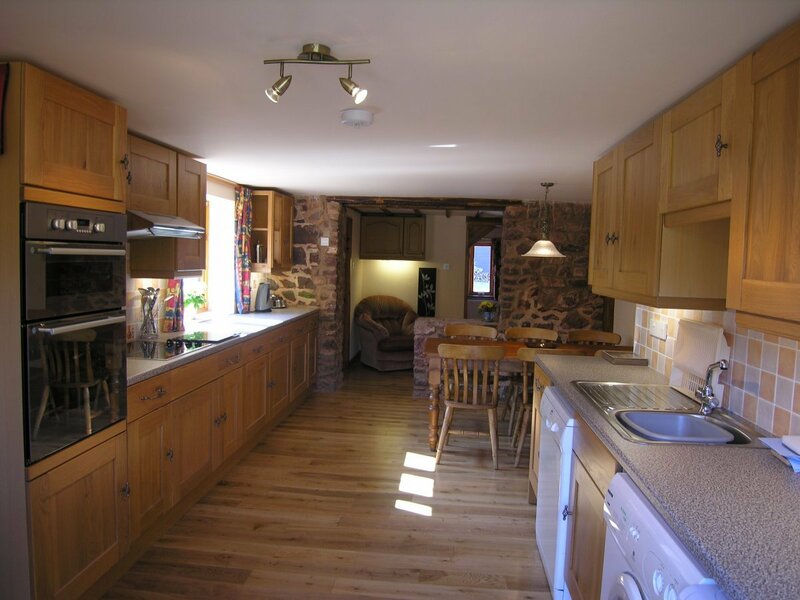 Well equipped kitchens in each property. Seats up to 16 in the West Wing and 24 in The Stables. 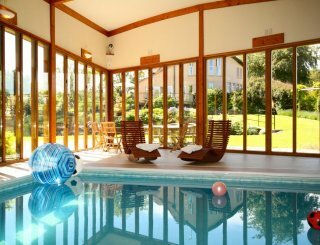 TV, video and DVD in each property. Payphone available in the West Wing and in our Information Room. Free WiFi is available throughout the site. Vodafone signal good. Yes, with pool table, table tennis and table football, seating and magazines. 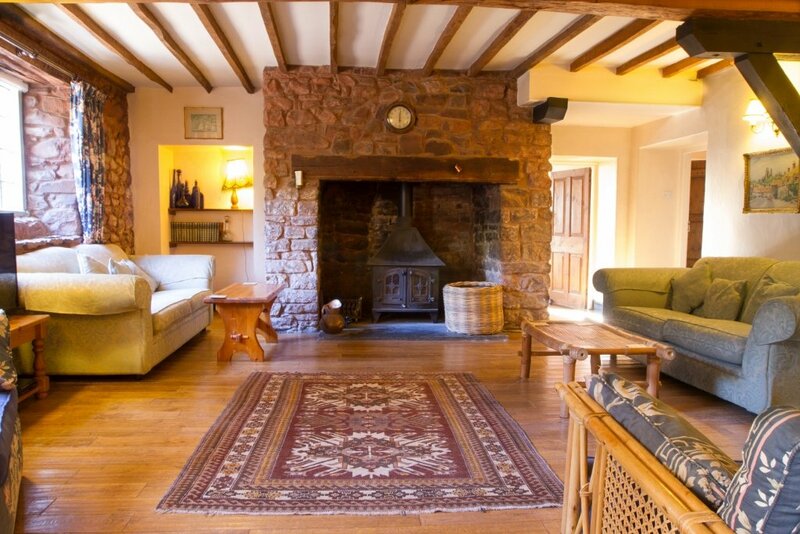 Wood-chip biomass central heating throughout and Inglenook fireplace in the West Wing and wood burner in the Annexe. A mixture of double and twin bedrooms. 2 triple rooms possible in The Stables. All bedding and bathmats included. Mixture of bath and shower rooms. 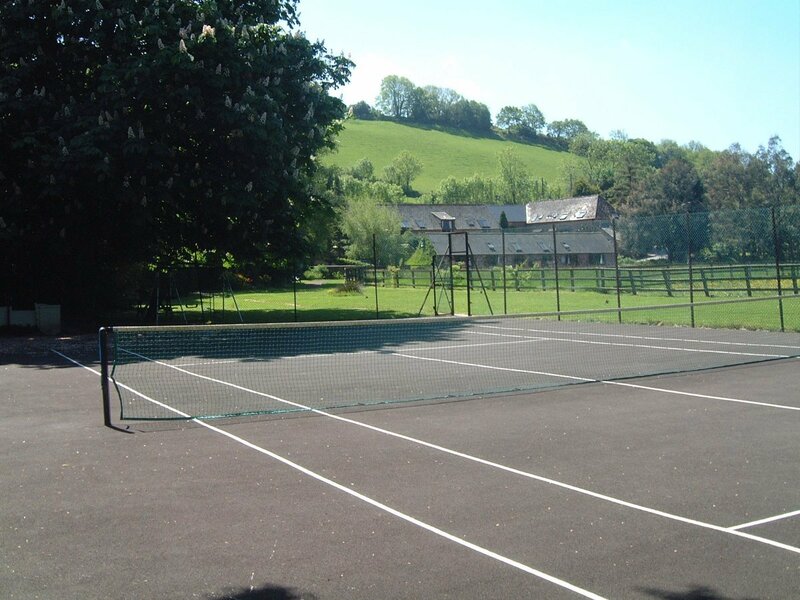 Hard tennis court, trampoline, football net and gate-lodge play centre (2 storey playhouse with swings, slide, assault course). 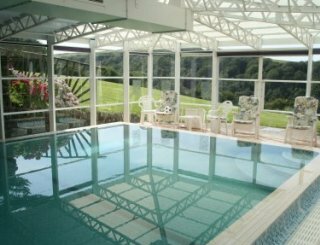 Indoor heated pool with changing facilities, showers and spa bath. 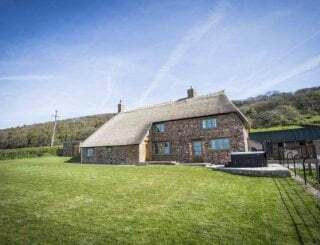 Duddings Holiday Cottages are situated in the stunning Avill Valley in the Exmoor National Park, 2 miles from the medieval village of Dunster. Minehead (4 miles). Dunster 2 miles. 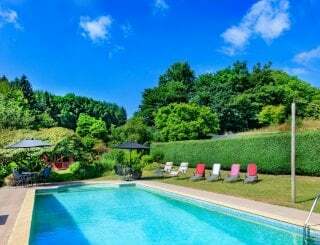 Deposit is 25% with the balance due 6 weeks prior to arrival. Buses can be flagged down from our car park entrance.